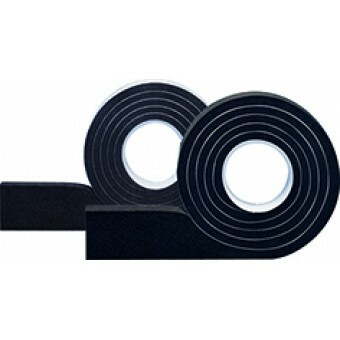 A pre-compressed open cell polyurethane foam sealant tape, used for the sealing, insulating and weather proofing of facades joints. The tape is impregnated with an adhesive and can be used without primer. Weather resistant to at least 600Pa. Matches the requirments of DIN 18542: 2009, class BG1. Conforms to DIN 4102, class B1. Fully UV and rain resistant. Virtually odourless. After application the tape expands to fill gaps and also adapts to uneven surfaces. Provides long term thermal and acoustic insulation. Supplied in various roll lengths and widths.